1602 Oxmoor Rd, Homewood, AL.| MLS# 844758 | Richard Jacks UABLIVING.com 205-910-2297 | Birmingham AL Real Estate | Contact us to request more information about our Homes for Sale in the Birmingham AL area. Stunning Edgewood Cottage totally updated and conveniently located in the heart of EDGEWOOD! The interior looks like it came from a magazine â just the way the interior decorator that selected all the finishes intended. The kitchen has natural quartzite counter tops, marble mosaic backsplash, stainless appliances, and a farmhouse sink. The bath is also totally updated with marble. The backyard has a privacy fence and a great deck for entertaining. 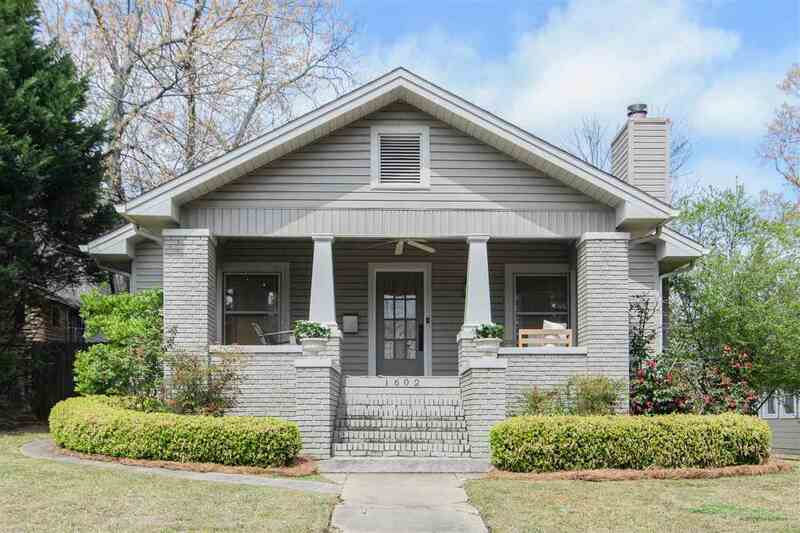 There is also a covered front porch that will provide the ideal spot for viewing the âWe Love Homewood Parade.â Covered parking with a detached garage/storage building. Do not worry about Oxmoor Road, this home has back alley access off Hanover Road with multiple parking spots. Homewood Rec Center â (pool, workout, tennis) less than a block away. Walk to Homewood Park, SoHo, Edgewood & all the great shopping and dining Homewood offers!! Award winning Homewood Schools â walk to Edgewood Elementary and Homewood Middle!! Driving Directions: From Oxmoor Rd Turn Onto Hanover Rd. Take First Right Into Alley To Access Back Of The House.